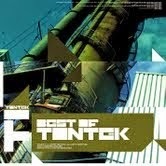 We bring you our latest release "The Best Tracks Of Tontek Records" thus far This release is blistering 10 track album. TonTek have shown their chunky, pumping and throbbing beats that you have come to love. Tracks on this release form the TonTek family include originals by: Anthony Abuse, Memoria, Tony Demoet, Tek-No-Bee, Darren Jones, Drugbank & Infosphere. All full length and unmixed tracks. Check it out now!